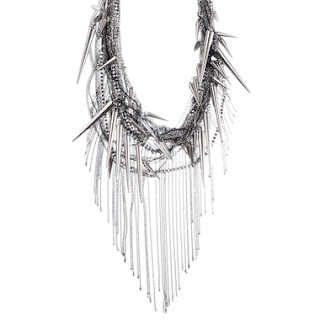 Chloe + Isabel if a lovely jewelry site that opened earlier this year that has fabulous pieces such as the ridiculously gorgeous Rocker Chic Chain + Spiked Bob necklace for very reasonable prices (this one is $135). I have several LBDs that I wear to varies holiday parties and I am constantly looking for ways to make them look "new" again. 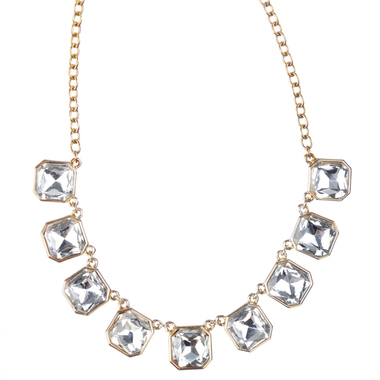 A statement necklace paired with a red lip will usually do it. If you prefer something more classic, this beautiful bezel-set crystal number is the perfect pearl-but-not necklace. At $50 they are practically given it away and you can pair it will jeans and a white tee come spring! Love.